reading and writing skill development in the future. Boston Arts Academy (BAA), the city’s only public high school for the visual and performing arts, is a proven model of public education. 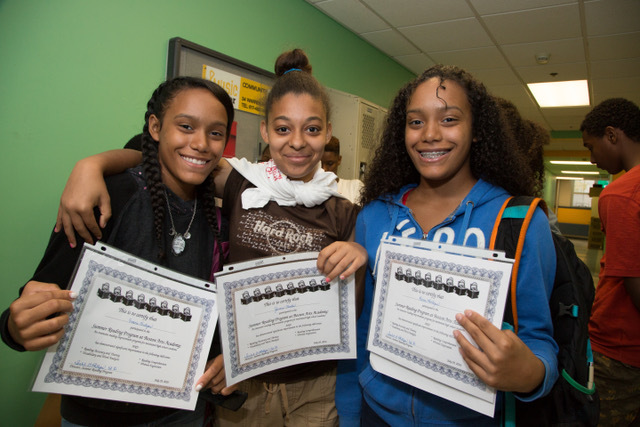 Serving 447 students from predominantly low-income families, BAA has received national recognition for its success with urban students. serve a diverse group of talented students: 62% are from low-income families; 37% are African American; 43% are Latino; 13% are white; 5% are Asian; and 1% are multi-racial. 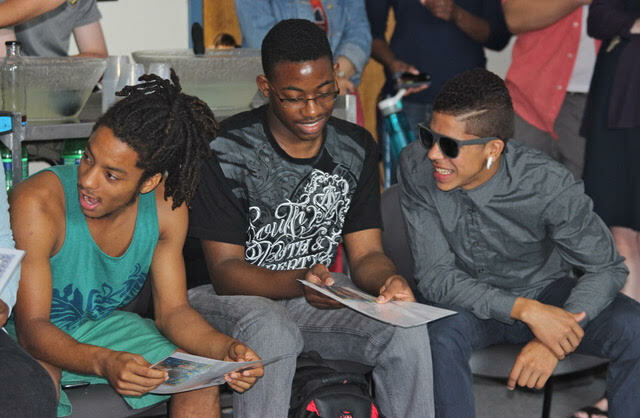 Students come to BAA from all Boston neighborhoods. A full-inclusion school, student artists are admitted based on portfolio or audition, regardless of any learning, physical, or emotional challenges. On average, 35% of BAA students enter high school reading below grade level, 41% speak English as a second language, and 14% have learning and/or physical disabilities that require curriculum modifications. When students enter BAA reading below grade level, they are unable to access the curriculum at a high school level during their ninth grade year. This perpetuates a cycle of failure that these students have struggled with for years. The BAA Summer Reading Program is our commitment to breaking that cycle by putting students on a pathway to reading fluency, higher overall achievement, greater self-efficacy and confidence. Over the last 13 years, this program has transformed the lives of 700 students. In addition, scores of BAA teachers have cycled through the program over the thirteen years, receiving two hours of professional development each day of the five-week program. Each teacher is mentored and supervised by an experienced reading specialist; teachers reflect collaboratively on their respective two-hour teaching blocks; and they gain the tools that they need to identify and address profound literacy challenges in each of their students. 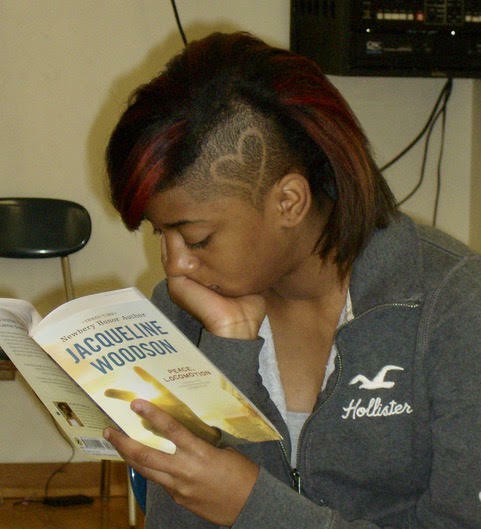 Adolescent literacy is a critical educational challenge, particularly in low-income, urban public school districts like Boston. Students come to Boston Arts Academy with widely varying levels of reading ability. Historically, our education system has operated on the premise that students learn to read and write in the elementary and middle school years, leading to well-prepared ninth graders who are ready to read, write, and think at increasingly sophisticated levels. Unfortunately, this is not always the case, particularly in urban school districts like Boston. In Boston, increasing numbers of high school students have learning disabilities, are English Language Learners (ELL), or have social/emotional challenges often with a history of trauma. Many students have also have extended absences from school or have attended elementary or middle schools with poor or uneven literacy instruction. Boston Arts Academy views literacy as a whole-school responsibility. Students who read below grade level have just as much difficulty reading a math or science textbook as they do reading a novel in humanities classes. At BAA, we expect all content area and arts teachers to understand their students’ learning challenges, and to provide differentiated instruction so that all students have the opportunity to learn. During the 5 week Summer Reading Program, specially trained teachers provide daily instruction to students who read below grade level. Teachers can focus on: creating a safe classroom community that invites risk-taking, mentoring a small group of students, and teaching them the critical literacy skills they desperately need. Students can focus on improving their reading skills because they are free from homework and the intensity of arts and academic demands during the school year. In this 5 week setting with 2 hours of instruction and practice reading 5 days per week, students make rapid progress. In 2004, Boston Arts Academy’s faculty identified the growing demand for more intensive language and literacy instruction. We knew from the outset that developing and sustaining focused improvement in adolescent literacy would be a long-term effort requiring engagement from the entire school community and across all disciplines. Literacy quickly became a whole-school priority, with teachers in all content areas assuming responsibility for literacy instruction, rather than relying solely on special educators and/or humanities teachers. One of the key components of the school’s literacy work began with the Summer Reading Program, which was launched in 2004. The program was developed by BAA administrators and special educator/reading specialist Mary Keyes, in partnership with Dr. Isabel Phillips, an independent literacy and assessment consultant with expertise in the neuropsychology of reading and language. Dr. Phillips, who is also the Founding Director of the Literacy and Language Certificate of Advanced Study program at the MGH Institute of Health Professions in Charlestown, MA, first provided a year of schoolwide professional development for the entire BAA faculty that led up to a decision to launch the Summer Reading Program. Over the last thirteen years, Dr. Phillips has collaborated with Mary Keyes to distill for the BAA faculty the most effective research-proven strategies for raising students’ skills in reading and writing across disciplines in an urban high school setting. Pre-testing of students’ baseline reading skills on a 1:1 basis ensures that students are placed into small cohorts with closely matched reading skill deficiencies and needs. Post-testing using the same criterion-referenced, skills-based benchmarks ensures accountability to funders, important information for academic year teachers, and individual feedback to students. When students are post-tested, they are given concrete evidence of the number of grade levels of improvement, as well as specific feedback on improvements in the range of strategies that they have learned to apply in reading increasingly difficult texts. Oral reading practice, rather than the more widely-accepted silent reading practice ensures that students and teachers are aware of the words that students have difficulty pronouncing and understanding. Reading aloud from high interest novels challenges students to develop word analysis skills, vocabulary, “close reading” comprehension strategies, fluency, and gain confidence as readers. 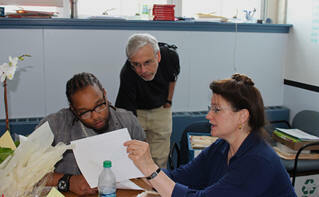 Continuous, on-going professional development is a key element of the program. All professional development is led by a Reading Specialist with expertise in adolescent literacy. a. Full-Day introductory professional development training before the program begins. A structured curriculum binder is distributed to teachers on the first full day of faculty training. Created by Dr. Isabel Phillips, a specialist in the neuropsychology of reading and language, and an independent literacy and assessment consultant, this binder includes guidelines for understanding the student baseline assessments, as well as ideas for organizing the two-hour teaching blocks, while innovatively addressing the most critical reading skills necessary to maximize student progress. In addition, this curriculum binder houses examples of creative teacher-made materials that have been developed over the thirteen-year history of the program. These materials give content area and arts teachers the resources they need to feel confident as they begin to learn to address all components of reading instruction across a variety of high interest novels. · Matching students with appropriately challenging texts. Traditionally, high school teachers have not been expected to develop students’ reading skills. Instead, they are taught to evaluate mastery of content. Very few high school teachers are taught to identify learning deficits; therefore they do not know which skills their students are missing. We have found that when high school teachers are given the tools to help their students overcome literacy challenges, they can dramatically change a student’s educational trajectory from failure to motivated learning and success. In addition to the three cornerstones listed above, the BAA Summer Reading Program is committed to creating classroom cohorts of no more than 8 to 10 students. The small class size facilitates the development of close, supportive relationships between teachers and students. Emphasis is placed on cultivating a strong sense of community. We have found that grouping students homogeneously and promoting community decreases each student’s sense of vulnerability, isolation, and shame around their poor reading skills. A safe and supportive group experience with similarly challenged peers helps students feel comfortable taking more risks as they read, which then gives them the confidence they need to make maximal progress. Often students report that a highlight of their Summer Reading Program experience is the relationships they have built with a new peer group. Finally, the program uses a top-down, embedded language model. Word analysis techniques are taught within the context of a higher goal of providing challenging, but enjoyable, high-interest, lower-level reading material. Each group reads two or three high-interest, leveled books that have been carefully chosen to ensure that they are maximally engaging and tailored to each reading level. Teachers guide students through reading the books out loud, modeling strategies they have learned through professional training. Mini-lessons are built into each class in order to improve students’ skill sets in phonics, vocabulary, comprehension, and fluency. At the end of the course, students write a paper on one of the books they read, which can then be used for credit in their fall English classes. This program is specifically designed for high school students who read below grade level. 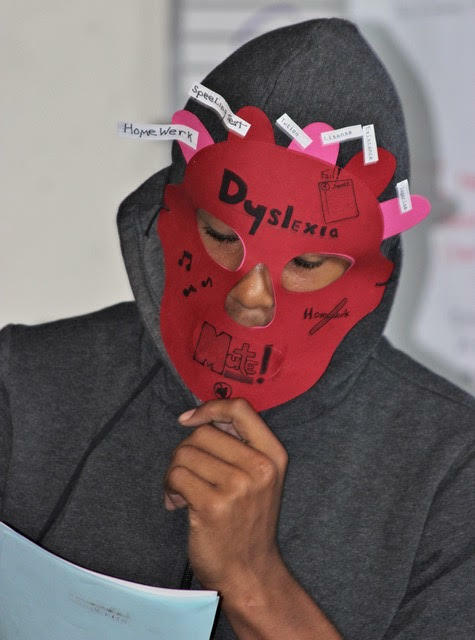 The program targets students who have learning disabilities such as dyslexia, students who are English Language Learners (ELL), and those who have slipped through the cracks for various reasons. Some students with poor literacy skills have had extended absences from school, often due to family crises, and others have previously undocumented social/emotional needs that become apparent in high school. Unfortunately, some students struggle with more than one of these issues. The Summer Reading Program re-engages these students in their education, giving many a pathway to higher education. Over the past 13 years, the Summer Reading Program has served over 400 struggling readers and trained dozens of teachers, literacy specialists, volunteers, and interns from colleges and universities in the Boston area. As many of the program’s teachers are secondary content area teachers, the professional development component allows them to incorporate literacy skills in their classrooms during the school year. Administrators and teachers throughout the school appreciate and value the impact of the program, which continues to evolve into a school-wide literacy model that can be replicated elsewhere. The impact of this program on students is enormous. They go from feeling shame, frustration, and anger to feeling successful and proud of their accomplishments. Students who had learned to hide their poor reading skills feel a great sense of relief and empowerment as they gain confidence in their ability to overcome their learning challenges. For some students, this is the first time they have read a book or experienced success in school. One of the most important outcomes of this program is that students develop a sense of agency that inspires them to take greater responsibility for their own learning. They are better able to articulate what their learning challenges are, and feel more comfortable asking for help. They also now have a supportive group of peers and teachers from whom they can seek help as they continue to build their reading skills. As Boston Arts Academy is preparing students for college, it is critical that they students are able to advocate for themselves and understand what types of support they need in the classroom. of the Summer Reading Program. The Boston Arts Academy (BAA) is pleased to report that of the 41 students who completed the Summer Reading Program, 47% improved their comprehension “retell” level by 1-2 grades, 29% improved by 3 –6 grade levels, and 24% maintained their comprehension skills. In terms of reading accuracy, 24% improved by 1 -2 grade levels, 17% improved by 3 -6 grade levels, and 59% didn’t lose reading skills during the summer, which often sets students back quite a bit. During the four-week program, students read Octavia Butler’s Parable of the Sower and another challenging novel of their choice from along a curated list. They used strategic comprehension strategies, developed word analysis skills to grapple with unknown words, and built fluency and confidence in oral reading as a vital step toward improving comprehension during silent reading in the coming school year. Students also completed a rough draft of a required summer writing project. Other benefits of their participation include increased confidence, a loss of shame at their low reading skills, and a growing sense of being empowered as learners—perhaps for the first time. These students now have strategies and tools to help them read and understand with greater fluency. As a result, they are finding validation for their efforts, which in turn, increases their willingness to read and thus turns what had been a negative feedback loop into a positive one. We have also seen that this program helps students become more self-sufficient and better advocates for their own learning. For a list of the “Top Ten” high interest novels that have been most successful at engaging reluctant readers in our BAA Summer Reading Program, please contact Mary Keyes or Isabel Phillips (see contact info below). 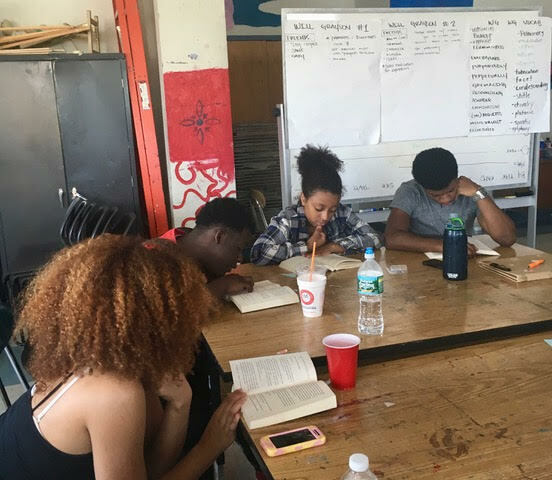 In the Summer of 2017, Charlestown High School, also a Boston Public School, launched a pilot replication of the BAA Summer Reading Program model. The Reading Specialist at Charlestown High School had completed her practicum for reading specialist licensure in the Summer Reading Program under the Direction of Dr. Isabel Phillips years ago. Finally able to get the funding, this school used the BAA model, and the reading specialist led the program. Six teachers participated and 40 students were served. The teachers trained included the school librarian, the ELL teacher, a Humanities teacher, and a math teacher. They used the same scope and sequence and adapted the model to accommodate a much larger urban high school with a different school culture (not an arts academy) and served a larger proportion of ELL students reflective of their particular school population. The key factor for successful replication and adaptation of the BAA model will require buy-in from your school principal and other key faculty stake-holders. They need to see literacy levels as a key impediment to learning across the curriculum and be ready to make school-wide literacy development a priority. Once literacy is the school-wide focus, the other factors are: initial funding for a reading specialist to lead the program, 6-8 teachers willing to participate, and building space available for classroom use. At both the Boston Arts Academy and at Charlestown High School, the only other requirement is a building manager of summer programs. This model has also been adapted for use at the middle school level in Boston area public schools. One participating reading specialist intern who “grew up” in the BAA Summer Reading program reported being able to “take the model and run” as she coached year-round teachers in strategic interventions for literacy improvement using higher expectations for pre-and post testing, more careful grouping of students based on diagnostic reading skills levels, and the use of high-interest texts to engage even the most reluctant of readers. Another asset to the successful growth of the BAA Summer Reading Program has been developing partnerships with graduate schools in the Boston area that train reading specialists and speech/language pathologists. Mary Keyes and Isabel Phillips have built bridges with MGH Institute of Health Professions, Simmons College, and Boston University. These interns and practicum students can assist with pre and post-testing, and then occasionally go on to become “non-BAA teachers” in the Summer Reading Program. Mary Keyes and Dr. Isabel Phillips are available to discuss professional development, consultation, and/or modelling of BAA Summer Reading teaching strategies. Should you have an interest in learning more about the BAA model, please contact them directly for an initial consultation at no cost.